I found this tutorial for this iron tote and thought it would be great to take my iron to and from my Threads of Love meetings. I could not get mine to wrap to the front like she did. So I folded it a bit differently and managed to get the folds and buttons on the ends. I also round my corners rather than cutting them at an angle. It made it easier to apply the bias and I just liked it that way. My Rowenta fits quite nicely inside, and I have enough room to put my water cup in there too. When it's opened, it makes a great press mat. 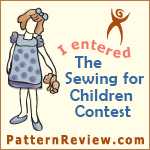 It isn't large, but it's great for the little TOL dresses. And when I'm not using it, it folds up into this little ball for easy storage. I love my little iron caddy. I will get to use it for the first time this evening. Slipcover - The hardest chair ever! !